Twelve-year-old Ethan Blackwood has always known exactly what he wants -- to win the state soccer championship, get into the best high school, and become an astronaut. Then he meets Madison and Felix, who tell him something... insane. They claim that fifty years ago, aliens took over the Earth, and everyone past the age of puberty is under their mind control. Ethan doesn't believe it. But then he sees for himself the aliens' monster bug robots and the incredible way Madison and Felix have learned to fight them. So Ethan Blackwood has a choice: he can go back to his normal, suburban, protected lie of a life -- or he can become a Resister. 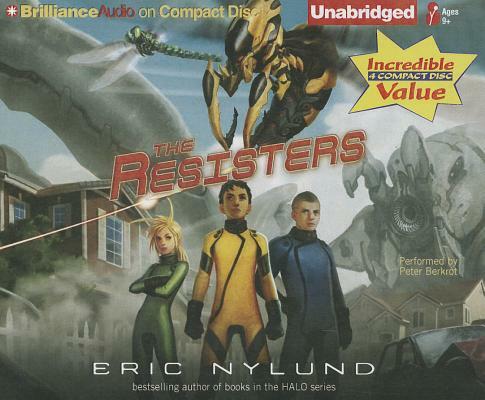 Million-copy bestselling HALO author Eric Nylund delivers action-packed science fiction in his first book for young readers.